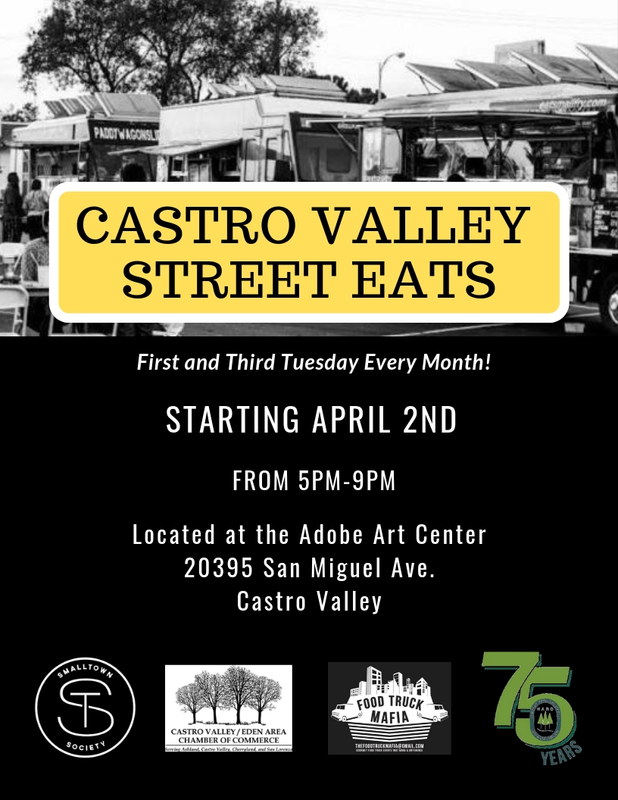 Castro Valley Street Eats presents the opportunity for you and your family, friends, and neighbors to splurge on delicious food trucks provided by Food Truck Mafia! Located at the Adobe Art Center, there's a large lawn area, a play structure, bocci ball lanes, and more. Come and enjoy a variety of food trucks, special appearences from local businesses, live entertainment, and music mixed by our local DJ!